Renowned Princeton mathematician and Nobel Prize laureate, John Forbes Nash Jr., whose life story was described in the Oscar-winning movie ‘A Beautiful Mind,’ was killed in a taxi crash together with his wife on the New Jersey Turnpike on Saturday. The driver of the taxi lost control of the vehicle as he tried to pass another car on the road and crashed into the guard rail, Gregory Williams, a state police sergeant, said. The driver of the taxi was extracted from the crashed vehicle and flown to the hospital with non-life-threatening injuries. One of the passengers of the second car involved in the incident, which also crashed into the guard rail, was treated for neck pain, the officer added. 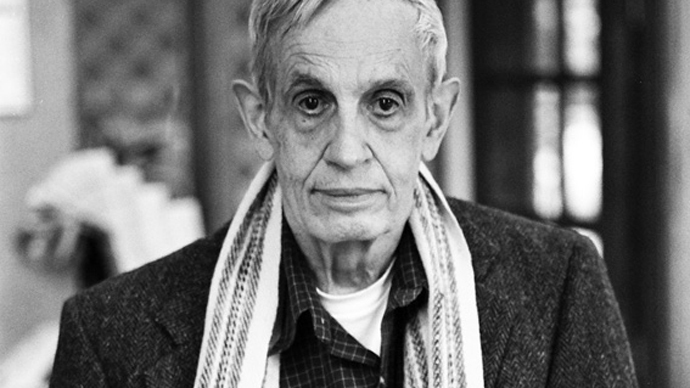 John Nash was 86 years old. His wife, Alicia, was 82. They were married for 60 years. The crash occurred as the couple were on their way home from the airport after making a trip to Norway. Nash and his longtime colleague, Louis Nirenberg, were awarded the Abel Prize in mathematics by Norwegian King Harald V in Oslo on Tuesday for their study of nonlinear partial differential equations. After learning about the tragedy, Nirenberg said Nash was a “wonderful mathematician” and person. Hollywood actor, Russell Crowe, who was nominated for an Oscar for portraying Nash on the big screen, wrote on Twitter that he was “stunned” by the couple’s passing. Nash was renowned for his contributions to game theory, differential geometry and partial differential equations. The mathematician’s work on game theory – the mathematics of decision-making – won him a Nobel Prize in economics in 1994. He also won the John von Neumann Theory Prize (1978) and the American Mathematical Society's Steele Prize for a Seminal Contribution to Research (1999). His wife Alicia has been helping the mathematician cope with his mental illness. She was played by Jennifer Connelly in the film, and she received an Oscar for the part. In recent years, the Nashes were advocating for mental health care in New Jersey due to their son John being diagnosed with schizophrenia like his father.